We can learn so much from small items once common in the past. 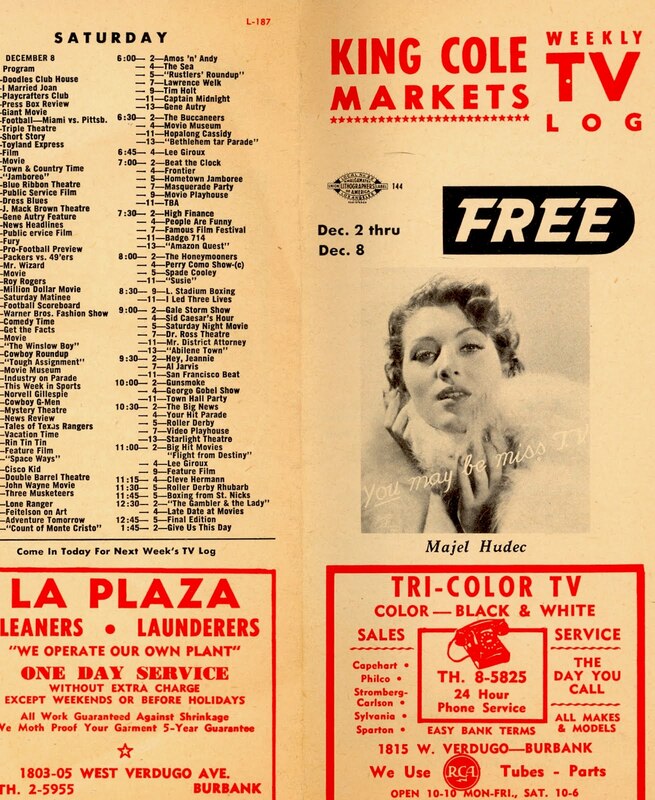 Here is a free "Weekly TV Log", the type of giveaway common for years in San Fernando Valley markets and drug stores. 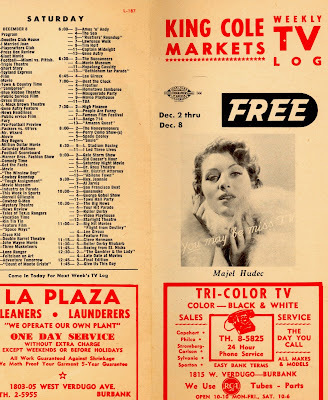 Thanks to Gary Fredburg, who donated this little gem, we have insights into the standards of the 1950s, a peek at the rising career of Valley film and television star Ronald Reagan, and even what ordinary television viewers who shopped at the King Cole Market in Burbank might have been watching in their homes.